Access to the pulp chamber (the small passageway in the tooth's center) will be gained by making a small hole in the chewing surface or the back of the tooth. 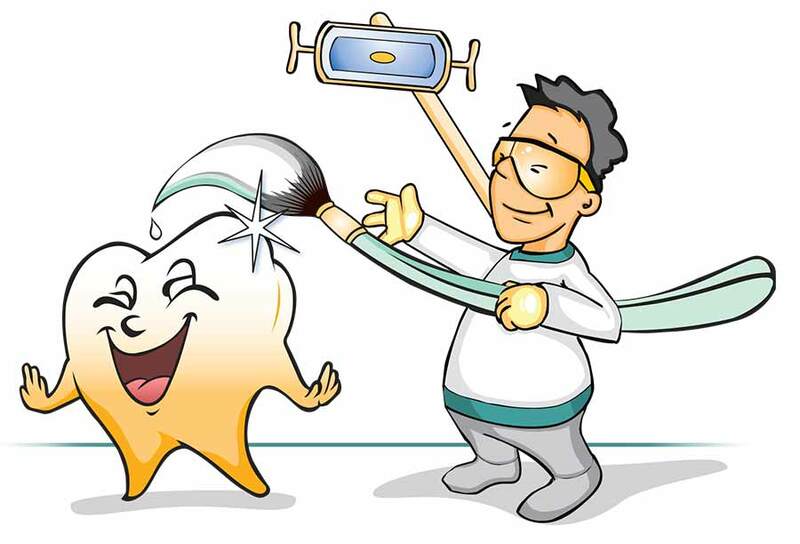 Then, we will clean any debris from the chamber and rinse it away, and add a special cement to prevent the bleaching agent from leaking into the tooth's roots. Next, we will place some bleaching agent (commonly sodium perborate) in the empty pulp chamber, and temporarily sealed in. At this point, you can get up and leave the office… which is why this procedure is sometimes called the “walking bleach” technique. However, you'll return to the chair in a few days for another round of bleaching; it may take up to four visits to get the degree of lightening you want. 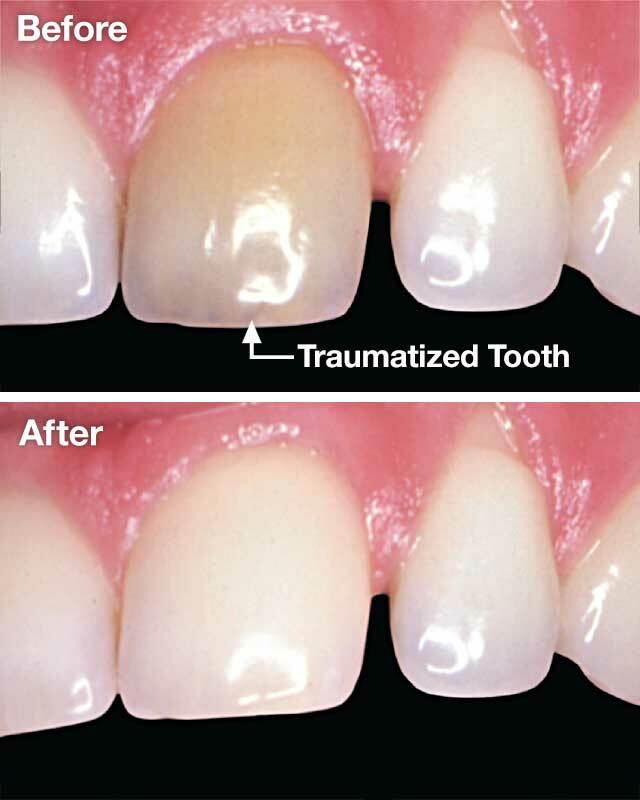 When the tooth reaches the desired color change, we will place a more permanent restoration on the tooth to seal that little hole — usually a tooth-colored filling material of composite resin. Many times, this relatively conservative procedure will give your tooth all the lightening it needs. If it's not enough, we may bleach the tooth externally as well, or even consider a veneer or crown. Our goal is to recommend the most appropriate cosmetic dental procedures, and to help you get the best possible results.